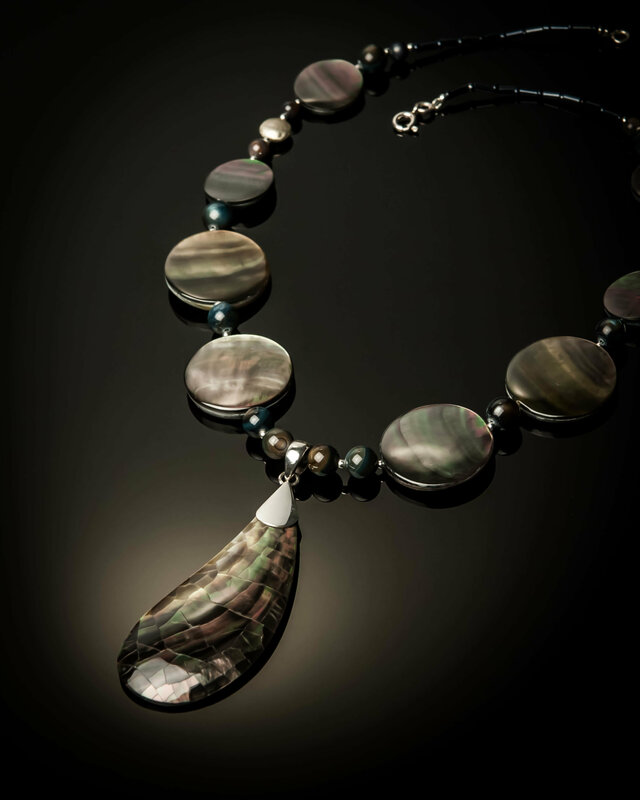 Gray Mother of Pearl necklace hand-sculpted by the talented Balinese artisans who are family to the Jinja Team. This short necklace is finished with a teardrop pendant that sits perfectly against the frame of the chest. The breath-taking iridescence of the Gray Mother of Pearl makes matching colors a piece of cake. The shell absorbs and reflects the hues of the shirt or blouse it is matched with to then give off dark and elegant gray undertones.